The Department of Housing and Urban Development filed charges against Facebook Thursday for violating the Fair Housing Act by encouraging, enabling and causing housing discrimination through the company’s advertising platform. Why it matters: Facebook just reached a historic settlement with the ACLU and other advocacy groups around this same issue, so it's surprising that a settlement did not occur between HUD and the tech giant. Be smart: According to sources familiar with talks between Facebook and HUD, the two bodies were close to settling. They believe HUD’s move could be driven by the agency’s desire to show it’s going on the offense before HUD Secretary Ben Carson heads to Capitol Hill next week for routine meetings with the House and Senate Appropriations Committees. Details: HUD alleges that Facebook unlawfully discriminates against users by restricting who can view housing-related ads on Facebook’s platforms and across the internet. It also alleges that Facebook mines extensive data about its users "and then uses those data to determine which of its users view housing-related ads based, in part, on these protected characteristics." The charge also claims that Facebook groups users who have similar attributes and behaviors — unrelated to housing — via machine learning and presumes a shared interest or disinterest in housing-related advertisements. HUD says this process functions "just like an advertiser who intentionally targets or excludes users based on their protected class." How we got here: HUD filed an initial complaint against the tech giant last summer, following a series of investigative reports over the past two years about ways users can abuse Facebook's ad platform in order to discriminate against certain people. That complaint alleged that it allowed advertisers to illegally discriminate in housing ads by excluding some groups from seeing the ads. Facebook has acknowledged over the past year that its tools have been abused to discriminate unfairly against people. Over the last year, it's removed over 5,000 ad-targeting options to prevent abusive ad targeting. Last week, Facebook said it would block racially-targeted ads for housing, employment and credit. What they're saying: "Facebook is discriminating against people based upon who they are and where they live," said Carson. "Using a computer to limit a person’s housing choices can be just as discriminatory as slamming a door in someone’s face." "We're surprised by HUD's decision, as we've been working with them to address their concerns and have taken significant steps to prevent ads discrimination," says a Facebook spokesperson. "We're disappointed by today’s developments, but we’ll continue working with civil rights experts on these issues." Between the lines: According to a Facebook spokesperson, talks broke down when HUD "insisted on access to sensitive information — like user data — without adequate safeguards." Facebook is very protective about giving up user data, even to governments that demand it. HUD says "fashioning appropriate remedies and the rules of the road for today’s technology as it impacts housing are a priority for HUD." 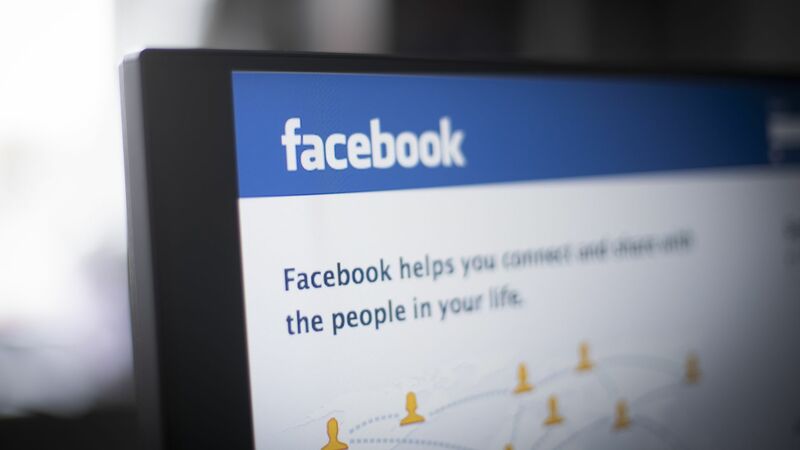 What's next: HUD's charge will be heard by an administrative law judge unless Facebook elects to have the case heard in federal district court. According to HUD, if a judge finds after a hearing that discrimination has occurred, "he may award damages for harm caused by the discrimination." "The judge may also order injunctive relief and other equitable relief, as well as payment of attorney fees. In addition, the judge may impose fines to vindicate the public interest. If the matter is decided in federal court, the judge may also award punitive damages." Sure, the market for Democratic presidential candidates is getting a little saturated. So why are some Democrats still thinking of jumping in? Because there's almost never a downside to running. The big picture: It doesn't have to be someone who might actually get close to the White House, like Joe Biden. The candidates of the crowded fields in the last few presidential elections — even the also-rans — almost always came out ahead or, at worst, ended up in the same place. Unless they have skeletons in their closets that could be exposed, there's really no reason for yet another long-shot candidate not to give it a chance. No Democrat will say they're running for something else, like vice president or Cabinet secretary. But that's where some of them will end up, if the Democratic nominee beats President Trump. If Trump wins, some of them are young enough to give it another try in four years. And if that doesn't happen, they can always become a cable news talking head. Hillary Clinton (2008) became Barack Obama's secretary of state before moving on to that other presidential race. Joe Biden (2008) became Obama's vice president. Mitt Romney (2008) became the Republican nominee four years later — and is now a senator from Utah. Rick Perry (2012, 2016) is Trump's energy secretary. Ben Carson (2016) is Trump's HUD secretary. John Kasich (2016) finished out his term as Ohio governor, became a CNN commentator and hasn't ruled out running against Trump again. Bernie Sanders (2016) is running again. Ted Cruz, Marco Rubio, Lindsey Graham and Rand Paul (2016) all went back to the Senate. Even Howard Dean (2004) survived "the scream" and became chairman of the Democratic National Committee. There can be a couple of downsides, but they're rare. One is that you're taken less seriously if you don't do well and disappear (Herman Cain/Michele Bachmann, 2012) — or you're never taken seriously in the first place (Mike Gravel, 2008). The bottom line: Go ahead, Michael Bennet, Terry McAuliffe, Seth Moulton and Eric Swalwell. Knock yourselves out. And really, Stacey Abrams — why settle for VP?